According to the OECD Employment Outlook 2017 report, the Czech Republic is among the best performers with one of the lowest unemployment and low income rates. 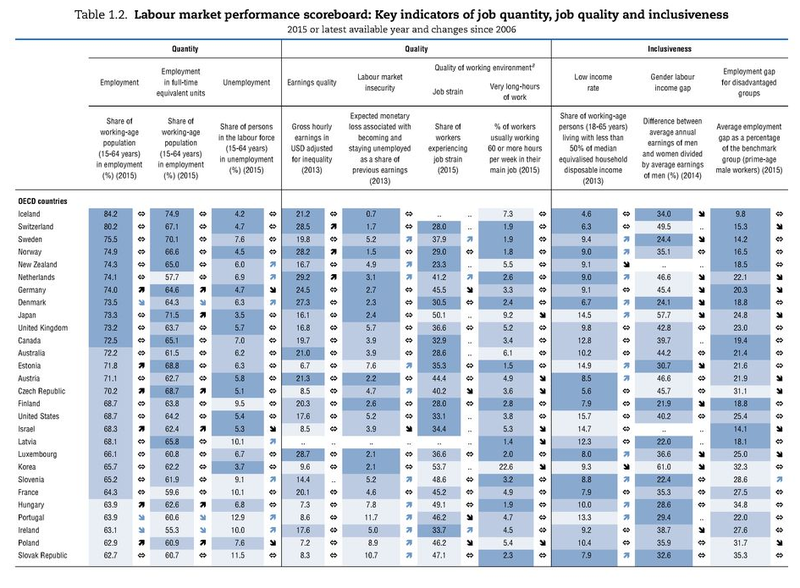 A scoreboard of labour market performance in terms of job quantity, job quality and inclusiveness, using 2013-2015 data, shows that the Czech Republic improved its position in the share of working age population in employment and labour market insecurity/expected monetary loss associated with becoming and staying unemployed as a share of previous earnings. The country retained the same position in terms of unemployment, gross hourly earnings adjusted for inequality, low income rate and gender labour income gap. 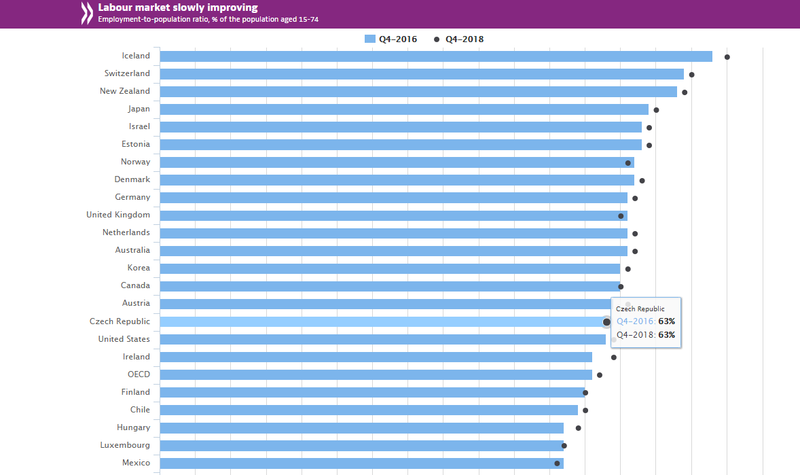 The Czech Republic´s position worsened in categories share of workers experiencing job strain, % of workers usually working 60 or more hours per week in their main job and employment gap for disadvantaged groups. 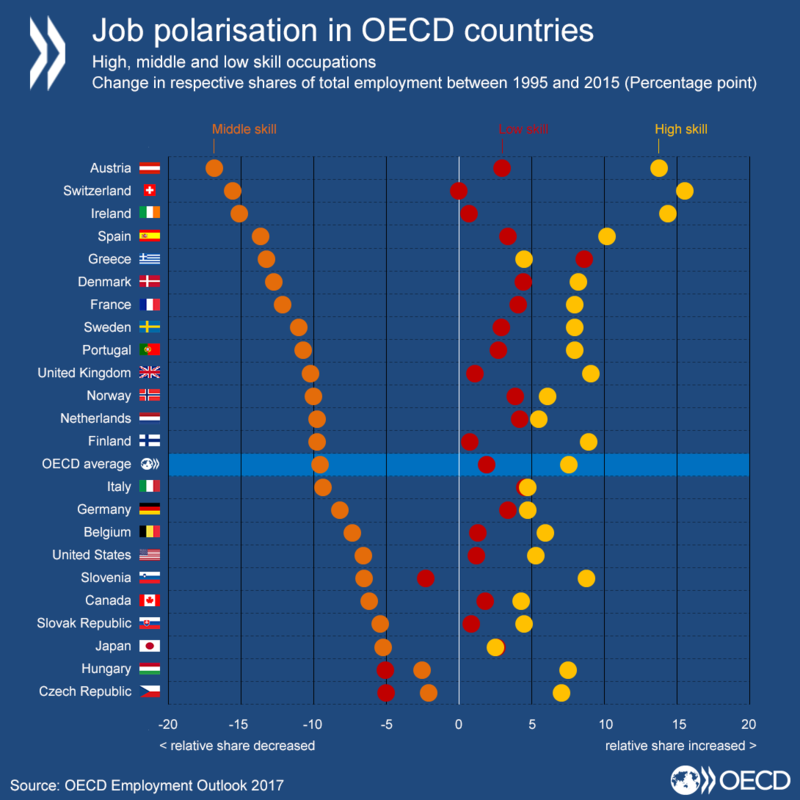 OECD does not expect the country to increase its employment-to-population ratio between 4Q 2016 and 4Q 2018.